The Championship has been a source of good fortune for our news team in recent weeks and Nottingham Forest, Leicester, Brighton and Reading can help us continue that success. A £10 stake on all four of these promotion chasing selections pays £87.70 in what could be a weekend to remember for Championship backers. Nottingham Forest are one of the form sides in the division on a run of 14 matches in all competitions without defeat. 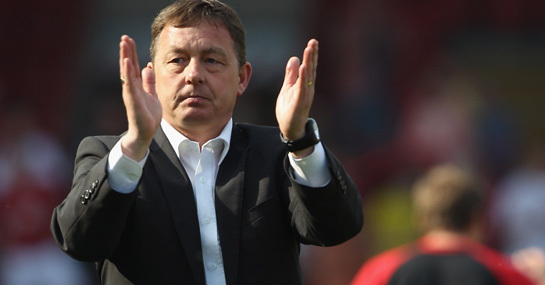 Billy Davies’ side are also in excellent form away from the City Ground going unbeaten in seven matches on the road which could spell trouble for a Blackpool side who have managed just two draws and 10 defeats in their last 12 Championship matches. Expect the East Midlands outfit to continue their promotion push with victory at Bloomfield Road against Barry Ferguson’s struggling side. The Foxes have just a defeat to Nottingham Forest on their Championship home record this season and we are not expecting Watford to dent that run this weekend. There is no doubt Giuseppe Sannino has overseen an upturn in his side’s fortunes since coming in at Vicarage Road but their away performances are still scratchy. Without a win on the road in seven, the Hornets now face a Leicester side on a run of nine straight victories in the league. The Seagulls will be desperate to get back to home comforts after a run of four games on the road culminating in a 2-0 defeat to Watford. But a five game unbeaten run at the Falmer Stadium inspires plenty of confidence in Oscar Garcia’s side to seal all three points against Doncaster. Paul Dickov’s team have been in decent form in recent weeks but it is their away results which is a huge cause for concern with his side not winning on the road in their last 10 matches. Donny could only muster a 1-1 draw last time out on the road against lowly Blackpool and Brighton have what it takes to make their away woes continue. Stuart Gray has overseen a remarkable turnaround at Sheffield Wednesday with his side on a seven match unbeaten run in the Championship. But that run of form should be brought to a shuddering halt by a Reading side that have fired 15 goals in their last four matches. And with 12 of those coming at the Madjeski Stadium it could be a long afternoon for the Owls.